Govt Agricultural Extension Department Jobs Circular 2018. 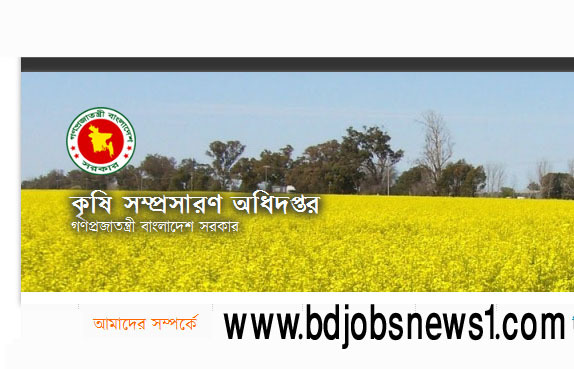 Bangladesh krishi somprosaron odhidoptor www.dae.gov.bd and jobscircular24.com has been published Sub Assistant Agriculture Officer Jobs Circular. We also will be published this jobs exam date ,seat plan, result and all update information here. Govt Agricultural Extension Department Jobs Circular 2018 has been published 1479 Number of Sub- Assistant Agriculture Officer post. Now we have given below this jobs all information. Recently Govt Agricultural Extension Department has been announcing they will be taken some Bangladeshi People with improved their activates. We are given here this information how to apply this jobs and how to get result seat plan and more information. Educational Qualification: Interested candidate must have 4year Diploma in Agricultural Science ant any government recognizes Institute in Bangladesh. Manikgang, sharper, Nature, Bagura, Gaibandha, Meherpur, Noril, Jhaljathi, Pirojpur, Farudpur Rajbari, Aries Candidate can,t apply this jobs circular but physically challenger Candidate can apply this jobs circular. It is so simple way to apply this jobs circular. You can apply www.dae.gov.bd this website or our apply link. If you want to apply our website you can go our apply now batten. when you click them you can get an application form fill up this form carefully. After fill up this information please see preview carefully and submit this. After submit you can got a User Id please save this id for payment and download admit. After submitting your application then you can be given payment by any taletalk prepaid mobile SIM . If you want apply this jobs see circular carefully. When will be published Seat plan and admit card this authority then you can download your admit and seat plane here. After the exam, we will be published this jobs exam result you can download our link your exam result. Get more jobs circular visit this website. We also published this jobs exam preparation you can get your result Facebook and Google+ here.